Donabe steaming is easy and fun. 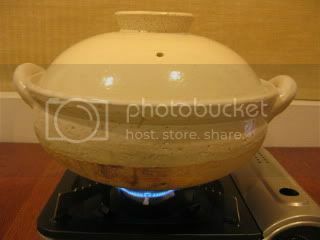 I love my donabe steamer, "Mushi Nabe". 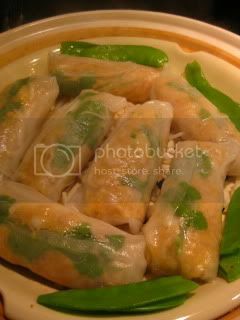 This time, I made spring rolls and made them into a steaming dish. I made a mixture of ground pork and minced shrimp (with seasonings), then I wrapped it with some bean sprouts and cilantro in rice wrappers. 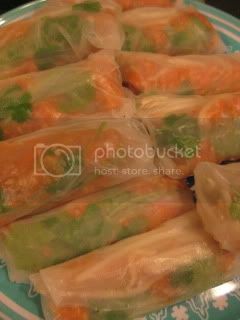 They were steamed for 5-6 minutes, and the beautiful steamed spring rolls were ready. The rolls were served with some homemade ponzu and chunky la-yu. 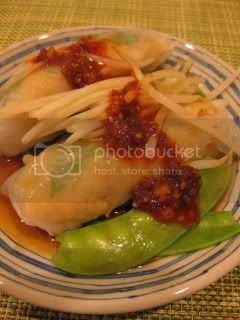 The clear rice skin was nicely chewy and the filling was fluffy and packed with flavors. Great. 1. In a bowl, mix together the ingredients for the filling until smooth. 2. To make a spring roll. Soak a rice wrapper in warm water until soft. Lay some bean sprouts, pork/ shrimp mixture, and cilantro and wrap. 3. Once all are wrapped, spread some extra beansprouts in the steam grate of "Mushi Nabe", arrange the spring rolls (7-8 at a time), and steam over medium+ heat until cooked through (about 5-6 minutes).